Take this Interstate Lounge EXT Class B diesel motorhome on your next outing with family or friends and you will find that this unit is just what you need to create unforgettable memories. 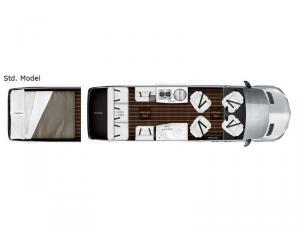 If your journey takes you away from home overnight, you can easily find a comfortable place to sleep on the convertible power sofa, and the ample amount of storage compartments on board will allow you to bring along all of your necessary travel supplies. Even the exterior portion of this model is decked out to its fullest with 300 watts of solar panels and a heated anti-fog windshield, and the 2.5KW LPG generator comes fully equipped with Airstream's exclusive quieter muffler technology that will allow you to sleep peacefully each night. 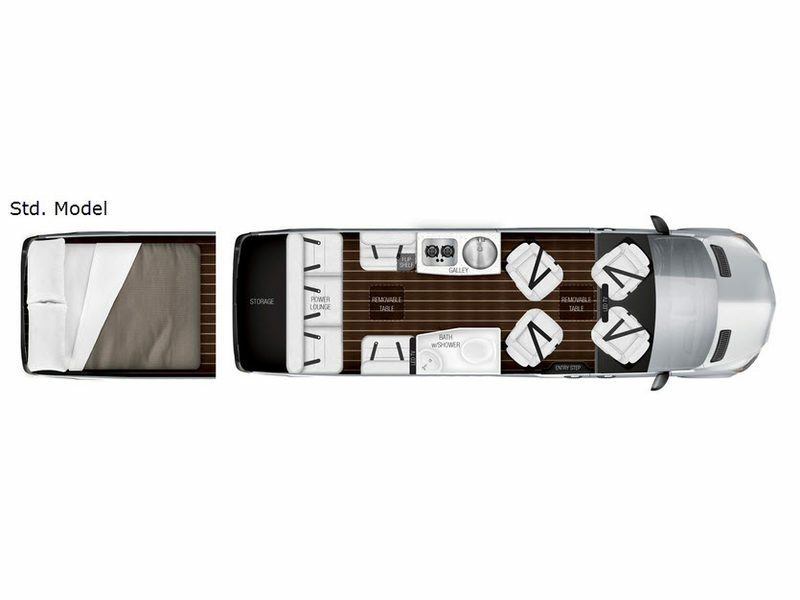 The Interstate Lounge EXT by Airstream is a part of the #1 selling Mercedes-Benz Class B since 2012, and in the Interstate Lounge EXT, you will always find unrivaled safety features that ensure a supremely safe travel experience each time you hit the road. From its collision prevention assist to its multiple safety air bags, the Interstate Lounge leaves no detail overlooked with more than 50 best-in-class features that come standard. Whether you're cleaning up the dishes from a delicious meal or you're rinsing off in a hot shower, you will appreciate the tankless water heater for its ability to provide hot water anytime you need it, and the side/rear electric door screens are perfect for letting in the cool evening air while preventing pesky insects from wandering inside. And now you can take your luxurious getaways up a notch with the opulent Slate Edition. With two-toned cabinetry, diamond-stitched seating, and its very own decor options, the Slate Edition is perfect for anyone who loves bold, statement-making design!